AFRICANGLOBE – Jim Willett remembers the night of Dec. 6, 1982, when he was assigned to guard a mortuary van that had arrived at the death house at the Huntsville prison. “I remember thinking: We’re really going to do this. 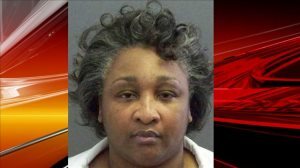 This is really going to happen,” says Willett, who was a captain for the Texas Department of Corrections. When the van pulled away early the next morning, it carried to a nearby funeral home the body of convicted killer Charlie Brooks, who had just become the first Texas prisoner executed since a Supreme Court ruling six years earlier allowed the death penalty to resume in the United States. What was unusual then has become rote. On Wednesday, barring a reprieve, Kimberly McCarthy will become the 500th convicted killer in Texas to receive a lethal injection. The number far outpaces the execution total in any other state. It also reflects the reality of capital punishment in the United States today: While some states have halted the practice in recent years because of concern about wrongful convictions, executions continue at a steady pace in many others. The death penalty is on the books in 32 states. On average, Texas executes an inmate about every three weeks. Still, even as McCarthy prepares to die at the Huntsville Unit, it’s clear that Texas, too, has been affected by the debate over capital punishment. In recent years, state lawmakers have provided more sentencing options for juries and courts have narrowed the cases in which the death penalty can be applied. In guaranteeing DNA testing for inmates and providing for sentences of life without parole, Texas could well be on a slower track to execute its next 500 inmates. “It’s a very fragile system” as attitudes change, said Mark White, who was Texas attorney general when Brooks was executed and then presided over 19 executions as governor from 1983 to 1987. Texas has accounted for nearly 40 percent of the more than 1,300 executions carried out since murderer Gary Gilmore went before a Utah firing squad in 1977 and became the first U.S. inmate executed following the Supreme Court’s clarification of death penalty laws. (Texas had more than 300 executions before the pause.) Virginia is a distant second, nearly 400 executions behind. Texas’ standing stems both from its size, with the nation’s second-largest population, and its tradition of tough justice for killers. Still awaiting punishment in Texas are 282 convicted murderers. Some may be spared. Supreme Court rulings have now excluded mentally impaired people or those who were under 18 at the time of their crime. Legal battles continue over the lethal drugs used in the process, mental competence of inmates, professional competence of defense lawyers and sufficiency of evidence in light of DNA forensics technology. Gov. Rick Perry, who has presided over more than half of Texas’ executions, said the recent changes have helped make the state’s system fairer. In addition to the new sentencing options, he signed bills to allow post-conviction DNA testing for inmates and establish minimum qualifications for court-appointed defense attorneys. A 2012 poll from the Texas Tribune and the University of Texas showed only 21 percent opposed capital punishment. Still, re-examinations of convictions have raised questions about whether some of those executed may have been innocent. The suspect cases included the 2004 execution of Cameron Todd Willingham for the arson deaths of his three young children. Arson experts consulted by a state panel determined evidence used to gain the conviction did not meet scientific standards. But Texas Attorney General Greg Abbott later barred the panel from further review of the trial evidence. Over the years, the Texas execution list has provided a portrait of violent crime in a state where many people are armed, both good and bad, and juries have little tolerance for murderers. Those executed have ranged from relatively common cases – robbers who killed store clerks, drug users who killed other drug users, spouses killing each other – to the bizarre and sensational. Ronald Clark O’Bryan, nicknamed the “Candy Man,” poisoned his son’s Halloween candy to collect on an insurance policy. Angel Resendez, a serial killer, rode the rails, stopping along the way to murder strangers. Lawrence Russell Brewer dragged James Byrd Jr. behind a pickup truck in a racist killing. In the prison town of Huntsville, executions have become a well-worn ritual. For more than 20 years, Dennis Longmire has been a fixture outside the fortress-like prison on execution evenings, holding a lit candle on a street corner. Hundreds of demonstrators once gathered there, but interest has long since subsided. Kimberly McCarthy, convicted of killing a 71-year-old neighbor during a 1997 robbery, is among eight inmates scheduled for execution over the next four months. She would be the first woman put to death in the U.S. in three years and the 13th since the Supreme Court allowed capital punishment to resume. McCarthy, 52, was condemned for using a butcher knife and candelabra to beat and fatally stab retired college professor Dorothy Booth at the victim’s Lancaster home. Evidence showed the former nursing home therapist used the knife to sever Booth’s finger to steal her wedding ring. Kimberly McCarthy, who is linked to two other slayings, has had her execution date pushed back twice this year. Her attorney, Maurie Levin, has been trying to halt her execution again, contending lack jurors improperly were excluded from her trial by Dallas County prosecutors. But the Texas Court of Criminal Appeals this week rejected the latest appeal, saying the claims should have been raised previously. Even remarkable incidents in the death ritual can become mundane in the steady procession. In 2000, Ponchai Wilkerson stunned officials when he spit out a small handcuff key he had kept hidden in his mouth as he prepared to die.